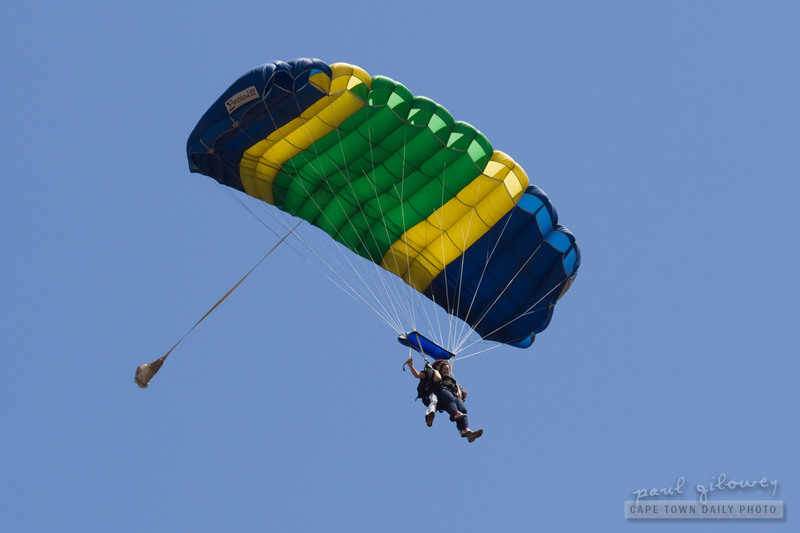 One of our readers was just commenting on how the instructor let him take control of the parachute during a tandem jump. The instructor at the Melkbos jump site (map) also let Kerry-Anne take the reins and (as I replied to him) she made the canopy spin like a top (she likes that kind of thing, you know). From the booking process, to the briefing, to the actual jump - we're pretty happy to recommend Downhill Adventures. The had Kerry-Anne kitted up in a matter of minutes; bundled her into the plane; and had her free-falling about 20 minutes thereafter. Posted in Activities and tagged extreme, skydiving on Thursday, 13 October, 2011 by Paul.